Mike Cardella: Mike founded ICS back in 2002 and has grown the company into a dynamic managed IT service provider that consistently stays at the forefront of the new technology developments. In addition to heading the company as its CEO, Mike offers hands-on support to his team, helping them develop innovative solutions to clients' complex technology problems and business challenges. Mazzy Matin: As ICS's vice president, Mazzy oversees management, technology solutions, and client relations. With the company since he first joined ICS as a member of the technical support team in 2008, Mazzy is a well-respected, tremendously experienced member of the Livingston IT support community. Randy P.: Randy is ICS's operations manager, chosen for his flexibility and depth and breadth of knowledge, which enable him to take on nearly any technology task, no matter how complicated, with skill and aplomb. His wide-ranging skillset is a huge asset to ICS' internal operations as well as to the firm's client base. Yamian P.: A senior-systems administrator for ICS, Yamian has been with us since 2009. He holds a wide range of technology certifications and has led over 40 network installations of various sizes for our client base. John R.: John is our firm's lead-systems engineer and has been with us since 2012. His technical expertise and creative abilities join forces to design, deploy, and maintain highly sophisticated technology systems for both our internal infrastructure and our clients' networks. Together, our management team leads ICS with a relentless commitment to bringing unmatched value to those we serve by maximizing client productivity and boosting client profitability. 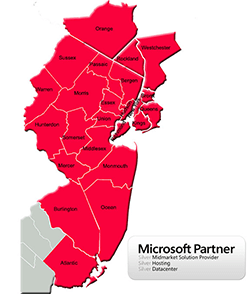 Rather than take a 'one-size-fits-all' approach, we focus on building completely customized technology solutions for our IT support clients in Livingston, NJ. Call us today for your complimentary on-site technology assessment!